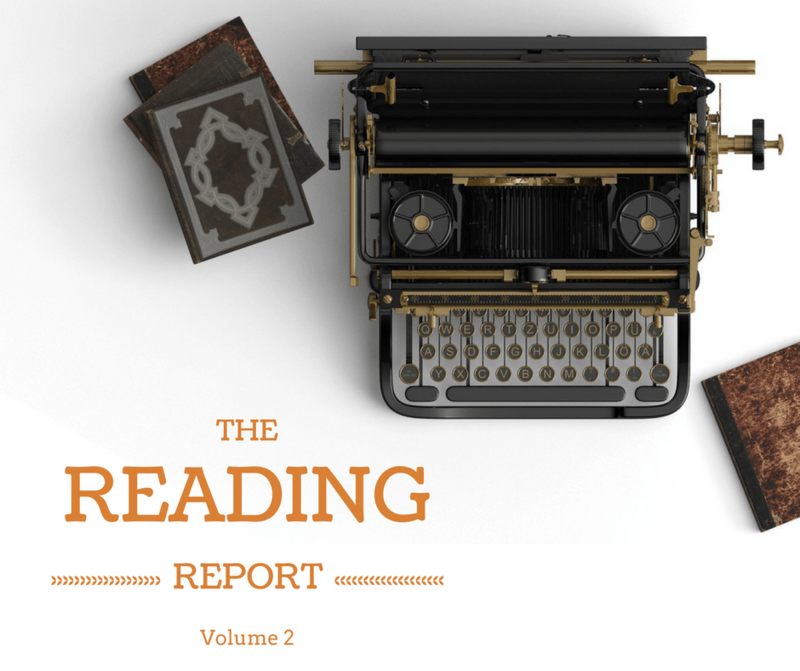 Welcome to Volume 2 of “The Reading Report!” I am so glad to have you here to discuss books and reading with me! In Volume 1 I listed all the books I have read over the past year or so, but now I am ready to write about my current reads. So fix your favorite beverage, pull up a chair and let’s chat about books, shall we? What I am currently reading. . .
First up, because it is the book I was reading most recently, is The Brothers Karamazov by Fyodor Dostoyevsky. I started this one to participate in a discussion group on the AmblesideOnline Forums, and it has been really helpful to read along with other people. We are reading it very slowly, just one “book” every month, which is good because it is pretty meaty. At first I had a hard time keeping all the characters and their relationships to each other straight, but now that we are halfway through, I feel a lot more comfortable with all that. I am still trying to figure out how I feel about this book. I like it, but not in the same way I like, say, Pride and Prejudice. The Brothers Karamazov is the first Russian novel I have read, and the pacing and structure is very different from my usual reading. I am finding that I do not always understand the deeper themes and ideas that are being developed in the conversations alongside the plot, but I decided that for my first reading, I don’t need to worry about that. I am just trying to enjoy the ride and see it through to the end, which should not be too hard since I really am curious to find out what happens to the various characters! The other fiction I am actually really reading right now is Brideshead Revisited. This is another read inspired by a group discussion, this time on the Close Reads podcast from CiRCE. I find it interesting that this is one of several books I have read this year that are either during or shortly after World War 1. This was a time period I have virtually no knowledge of, but reading fiction from that era of history has given me a desire to know more. The prose in Brideshead Revisited is truly some of the most beautiful I have ever encountered. Waugh is a master wordsmith. I have also really benefited from the podcast discussion as it has helped bring out a lot of ideas I would have otherwise missed because I am so new to the concept of reading closely. In non-fiction, which is usually my weak spot, I am dipping into three different parenting books right now, all of which I have enjoyed and gleaned wisdom from thus far: Heartfelt Discipline by Clay Clarkson, Grase-Based Parenting by Tim Kimmel, and Triggers by Amber Lia and Wendy Speake. I will write in more detail about each of these later when I have gotten closer to finishing them! What I have finished reading recently. . . I actually FINISHED a whole book! And in just one short week, too! It has been a while since I read through something that quickly. I am on the launch team for a brand new book called More Than Just Making It by blogger Erin Odum of The Humbled Homemaker. I will have a post dedicated to my book summary and review, but suffice to say that it was an excellent read! Part memoire, part practical tips on how to go from financial frustration to financial freedom. If you are at all interested in getting the book, I highly recommend you check out the preorder bonuses because they are amazing! What’s on the back burner. . . So, I sometimes have a problem with a little “start-itis” in which I begin reading too many books at a time. Some of the books I was gung-ho to start in the winter and spring have had to take a back seat. I fully intend to read them in the very near future, but for now I just don’t have the bandwidth for them. Back burner books, in no particular order, are: A Tale of Two Cities by Charles Dickens (I was mostly listening to this on audio, but probably need to switch to print because I was tuning it out too easily); Count of Monte Cristo by Alexandre Dumas (again listening on audio); Little Women by Louisa May Alcott (another audio book I haven’t had time for); The Liberal Arts Tradition by Kevin Clark and Ravi Jain; and A Charlotte Mason Companion by Karen Andreola.